On another special Halloween episode of The Theme Park Duo Podcast, The Duo talk about Horror Made Here: A Festival of Frights at the Warner Bros Studios in Los Angeles, California. This is the only place where you will find haunted attractions based on IPs such as: The Conjuring, IT, Arkham Asylum, The Exorcist, Lost Boys, Friday the 13th and A Nightmare on Elm Street. This intimate and unique experience has established itself as the home for horror. Does it live up to the name? How does it compare to it’s competition in Southern California? 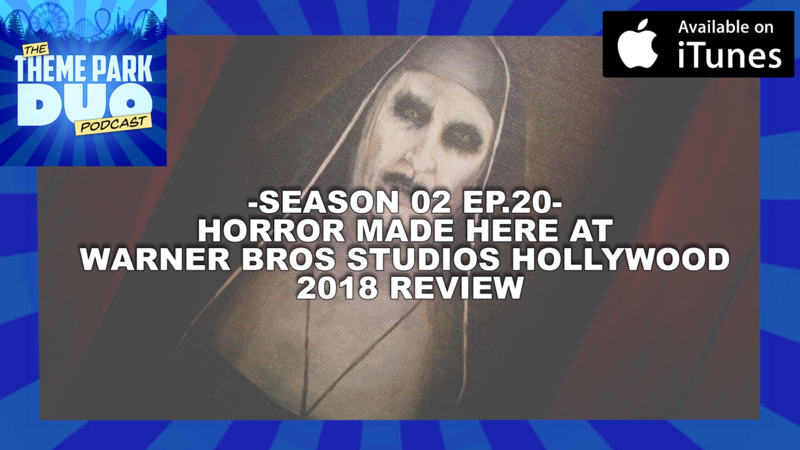 Listen and you will hear our thoughts about this years Horror Made Here event!